Ding dong, the witch is dead! And by witch I mean Overflowing affix for Mythic+ dungeons. And by dead I mean being removed with patch 7.2. Hooray! For those who don’t know, Overflowing was the one healer specific affixes for Mythic+ dungeons. Well, at least, it was supposed to be healer specific. Unfortunately, due to the nature of the affix, it ended up only really applying to certain types of healers. The tooltip for Overflowing reads: “Healing in excess of a target’s maximum health is instead converted to a heal absorption effect”. Jargon aside, that basically means that any overhealing done turns into this really awful shield that absorbs the next couple of heals. And additionally, that really awful shield doesn’t just absorb the amount of heals that went over, it absorbs 300% of the amount of overhealing. So let’s say you accidentally overheal your tank by 300,000. Because of Overflowing, you now have to heal through an absorption effect of 900,000 health points before your healing abilities start actually healing the tank. The solution seems quaintly simple: don’t overheal! And while the goal of all healers everywhere is to avoid as much overhealing as possible, because of the nature of some healers’ tool kits, that goal not always successful. Especially if, say for example, the healer stacks crit as their main secondary stat. 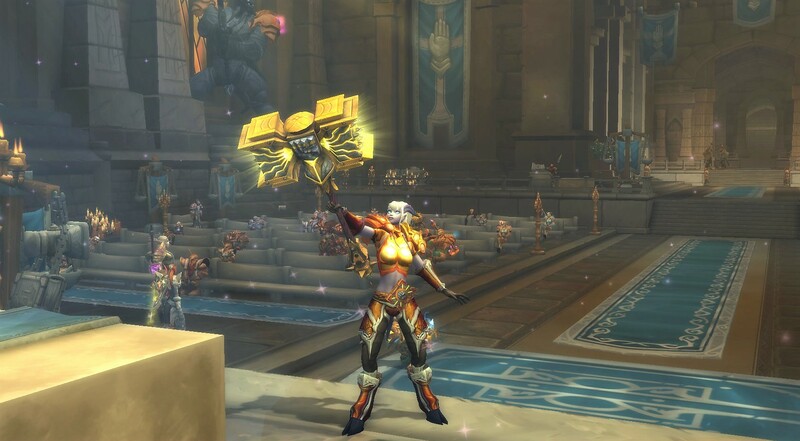 Let’s take my Holy paladin for example. The stat priorities for holy paladins place crit as our number one secondary, as has been the case for quite some time. And consequently, I’ve been doing just that; right now, I’m sitting at about 38% Critical Strike Chance. However, holy paladins also can get extra crit from multiple other sources. 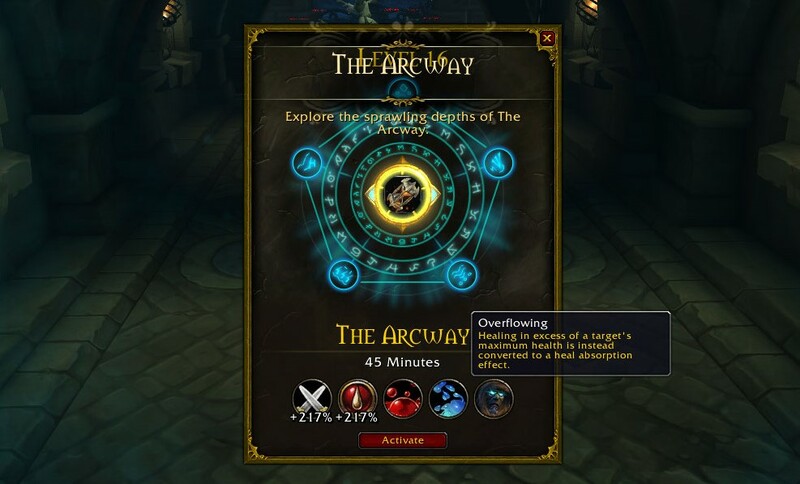 These range from the 20-45% crit increase during Avenging Wrath (our main healing throughput cooldown), an additional 50% crit chance increase for Holy Shock (our primary healing ability), and a few other specific ability crit increases in our artifact talents. Long story short, holy paladins have a lot of crit. This huge amount of crit makes a lot of sense for our healing style. Holy paladins, in this expansion especially, are the masters of large single target heals. We have one area of effect heal and no heals over time to speak of, but we can single target spam like a beastie. However, because we are experts at big, single target heals, we often overheal by a large amount on that one single target. Especially when combined with our crit, it is not untoured for me to crit heals of 2-3 million health. And when I’m only trying to heal someone for 1-2 million, that extra chunk of healing all becomes overhealing. Usually, this isn’t a huge deal. But now, enter Overflowing. Let’s take that same scenario where I’ve healed for 2 million but only needed to heal up 1.5 million. I’ve just done 500,00 overhealing, which translates to a 1.5 million absorption shield. Wonderful. I’ll need to heal through that shield in order to be able to start healing my target again but if they haven’t taken damage, I run the risk of criting again and creating yet another shield. Not a great position to be in. I either have to throw some small, lower crit chance heals on to try to get rid of the shield or just hope that, when they do take damage, it won’t immediately drop them to 10%. And seeing as how Mythic+ dungeons are considered the ‘raiding experience’ of five mans, the damage can get rather spiky. Or, let’s say they are taking damage and now I need to get through that shield as fast as possible to heal them up. But I can’t heal them up too quickly because I could break through the shield, crit and overheal, and have to begin the process all over again. It’s a constant battle with RNG. So to avoid creating that terrible shield, I won’t heal the tank until they drop below 70%. I won’t even apply big healing abilities until they hit 50%. And I’ll have to pray that the damage is smooth enough that they don’t drop from 60% to 5% in the space of a few seconds. I do proclaim! that Overflowing is the worst affix ever! It’s an incredibly nerve wracking experience. And especially when you start getting up to the higher level of Mythic+s, it starts becoming untenable. I have to keep a super close eye on health bars and shields and which heals I press, along with dealing with all the other mechanics of the fight. I’m generally a pretty competent healer but this was getting to be unfun. Now this affix wouldn’t be ‘the witch’ if it had applied equally to all healers. The problem was, it didn’t. Holy paladins and holy priests dreaded Overflowing with all their being. Resto shaman and resto druids especially loved this affix like a dear friend. Because for them, it was like the affix didn’t even exist. I’ve talked to a few of my resto druid friends about this (mainly to complain about how awful Overflowing is for holy paladins) but their general experience with the affix was that they’d never had an issue with it. Because the majority of a restoration druid’s overhealing comes from the little ticks of HoTs, the shields they were getting were tiny by comparison. And those little baby shields were really quickly healed through by the continuing HoT ticks. Talk about unbalanced. While some healers would be working their butts off to deal with the affix, others didn’t even notice if it existed or not. As a result, certain healing classes stopped being brought to those higher level Mythic+s. Even in my own guild, while I knew it had nothing to do with me as a person, I stopped being asked to run mythic dungeons because I just couldn’t keep up. And there was no comparative affix that was difficult for those other healers. Luckily for myself and the other holy paladins and priests of the world, Overflowing is set to be removed in the coming patch. In it’s place is an affix called Grievous, with a description that reads “While below 90% health, players are afflicted with Grievous Wound”. Obviously, I’m going to reserve final judgement until I actually get to experience the affix firsthand (after all, I did think that Overflowing could be fun at first, what a naive fool I was then). But for now, my holy paladin is satisfied. Avoiding overhealing is a fun exercise in theory, but in practice, it ended up being a lot more stressful and uncontrollable than I ever could have expected. Can’t wait for 7.2!